In the high school, the fall colloquium marks a transition between seasons and endeavors. This year's focus came from The Martian, by Andy Weir, a novel that makes a case for rational deliberation and humor as tools to conquer impossible odds. The protagonist must creatively develop his self-reliance to survive, but ultimately it is a story about the group coming together to achieve wholeness. 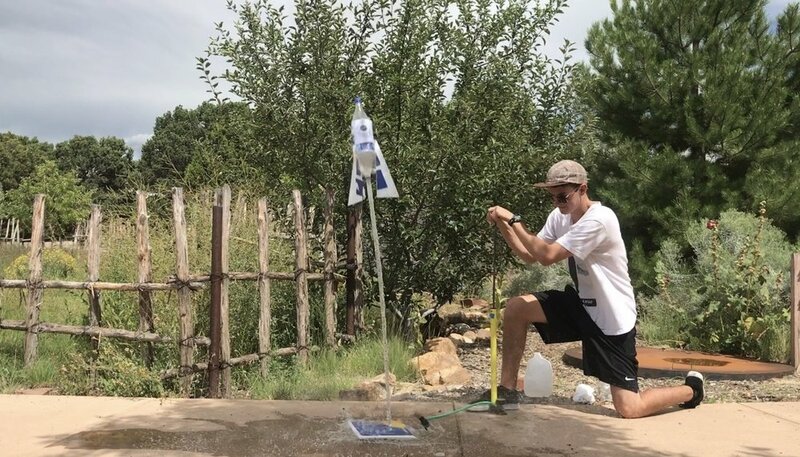 During Colloquium Week, small groups of students applied their own problem solving skills in an experiential rocketry project that yielded results as hilarious as they were varied. We got serious with a presentation about the science behind the book, and developed group identity by creating a series of symbolic planetary logos. We pondered the limits of understanding during senior-led discussion groups, and created visual messages at a downtown scavenger hunt with our cell phones. We finished the week in a circle, sharing small glimmers of who we are, before getting on buses to go cheer the girls' Volleyball team play in the 5th annual Wolf VB tournament on Friday afternoon. Newer PostShop and Earn for Our School!